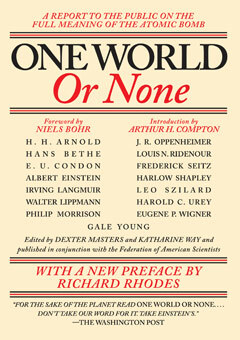 The original edition of One World or None sold 100,000 copies and was a New York Times bestseller. Today, with the nuclear issue front and center once more, the book is as timely as ever. Katharine Way (1902–1995) was a pioneering nuclear physicist who helped establish the journals Nuclear Data Sheets and Atomic Data and Nuclear Data Tables.